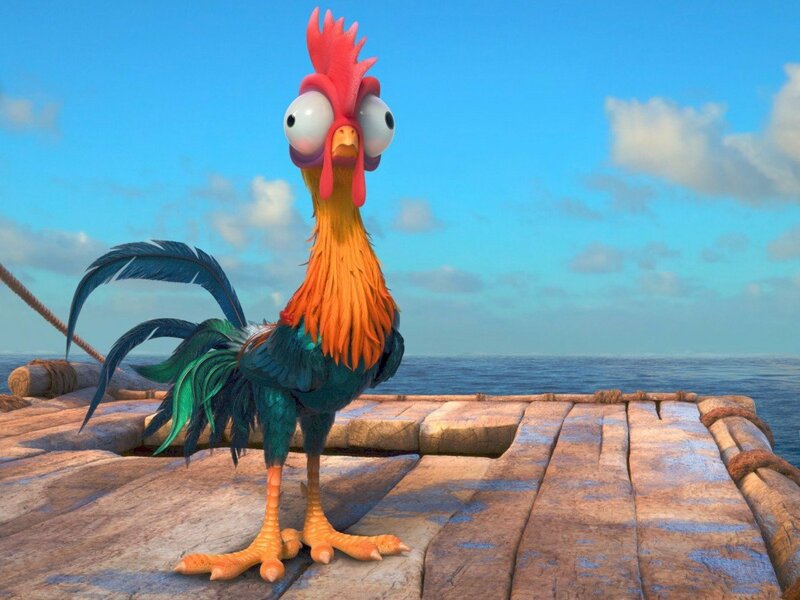 Hei Hei is the lovable rooster who joins Moana, somewhat unfortunately, in her journey of exploration. He roams around the village aimlessly, often getting himself into unknowing trouble, only to be saved by the villagers. With plenty of Moana’s and Maui’s at conventions, I thought it would be fun to bring another important character from the animated film to life—Hei Hei. He is the quite the opposite of me in many regards which made creating Hei Hei even more fun. Because this was originally going to be a more casual cosplay, I decided to make Hei Hei into a larger than life hoodie. The hoodie and feathers are made out of different types of fleece. The feathers all have a wire in the middle. These wires are tucked into a part that I 3D modeled that attaches to a belt. This all keeps the feathers in place and more lifelike (I love how they bounce around when I move). The various gradients were achieved with a combination of hand-dyeing and hand painting. The eye can come out. It was originally made with a stuffed bouncy ball that was spray painted. Spray paint and bouncy balls don’t get along with each other, as I found out. The red on Hei Hei’s head would get on his white eye making it look like he had pulled a couple of all-nighters. I replaced this bouncy ball with two styrofoam hemispheres and they worked out just swell!